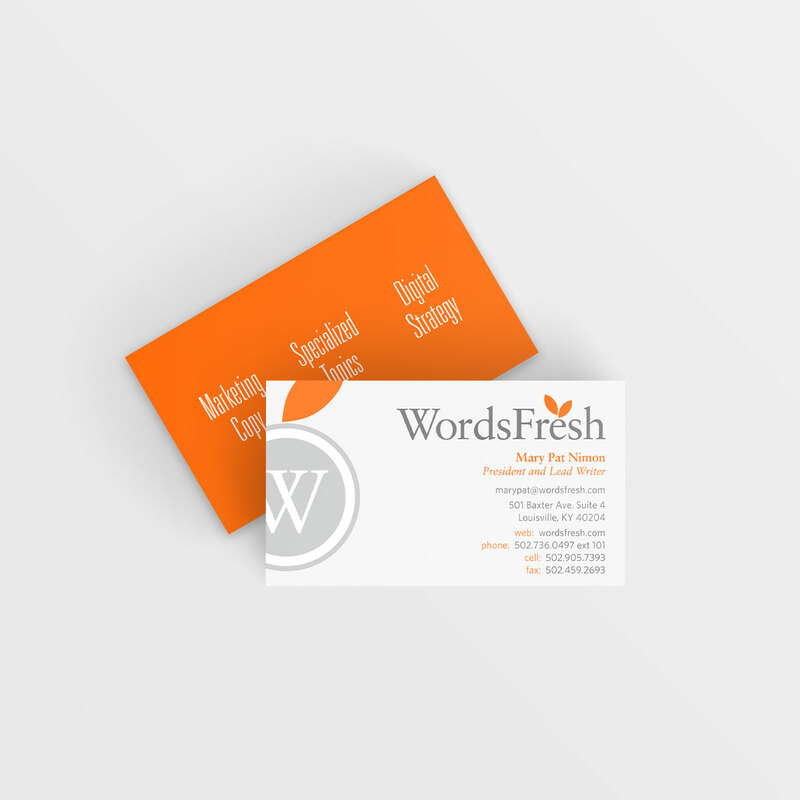 WordsFresh is a Louisville, Kentucky based copywriting firm serving some of the most respected companies in the country. 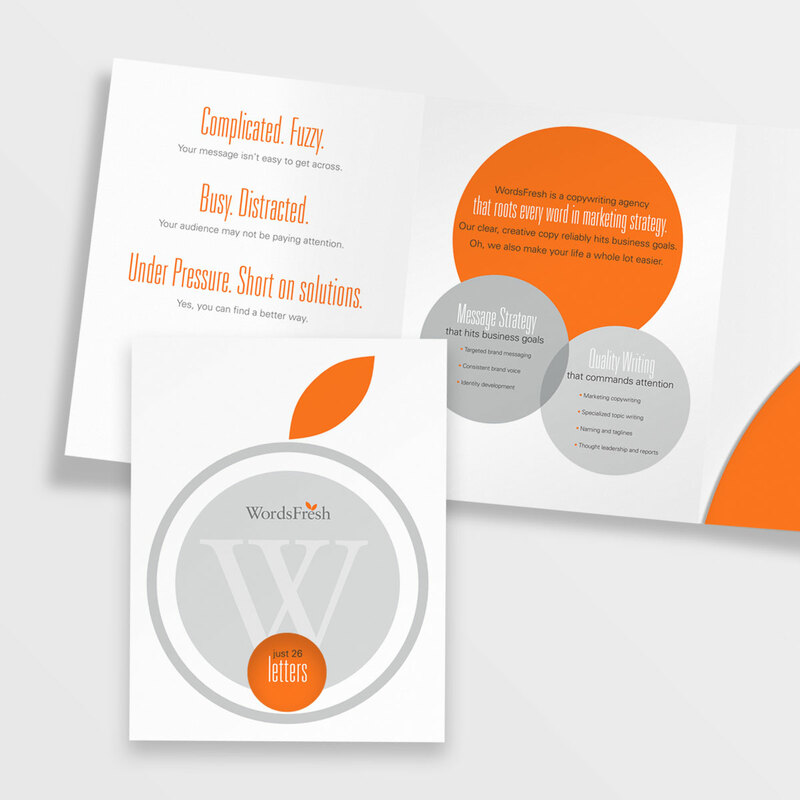 WordsFresh understands marketing strategy and it shows in their clever, creative and pinpoint copy that reliably hits each business goal. 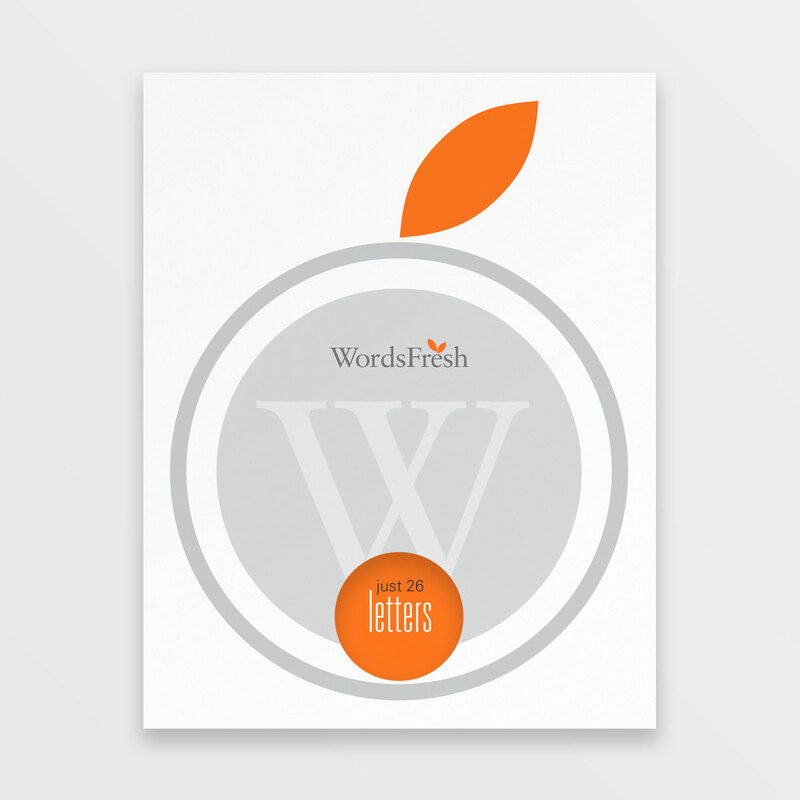 We rebranded WordsFresh to retain some of their logo’s original look, combining elements of typewriter keys as fruit with leaf elements. 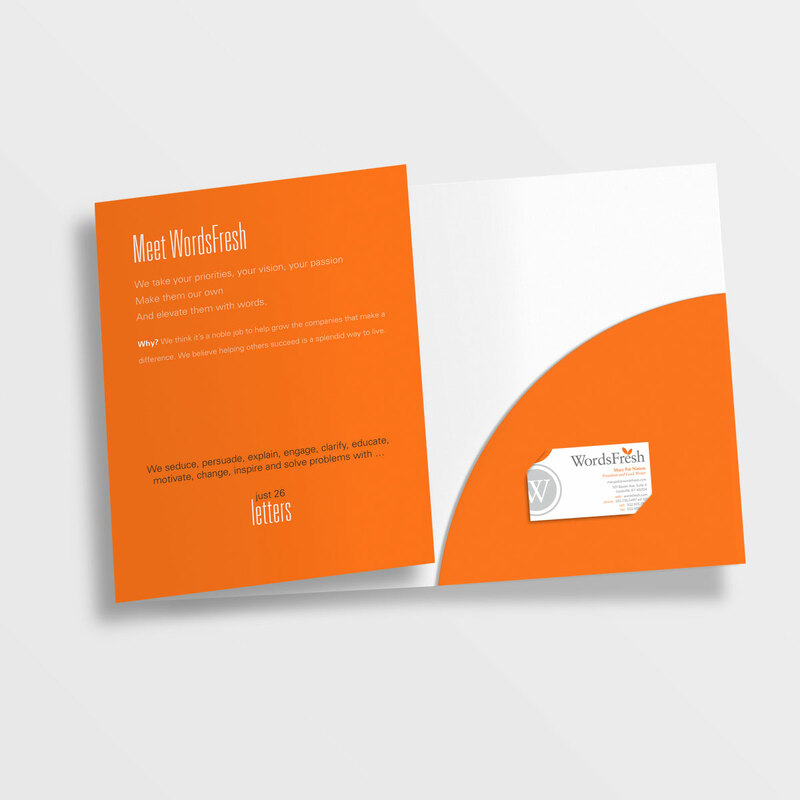 A much cleaner, simpler mark was the result.